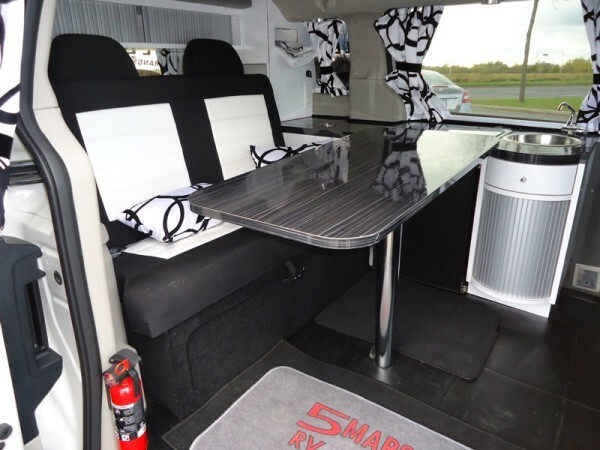 This is a 5 Mars RV Dodge Caravan Motorhome Conversion. This model is called the Illusion. 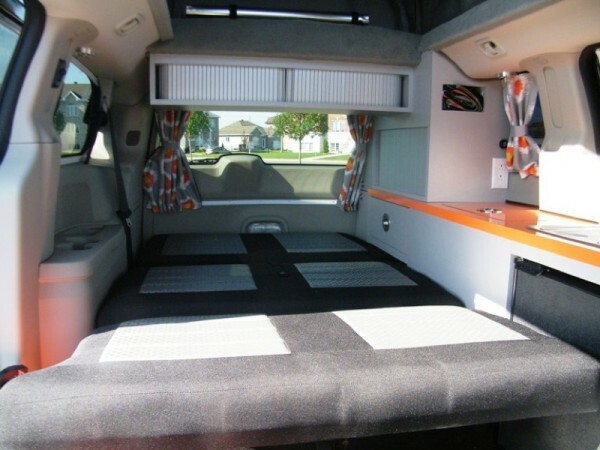 From the outside, it almost looks like an ordinary Dodge Caravan Minivan, doesn’t it? 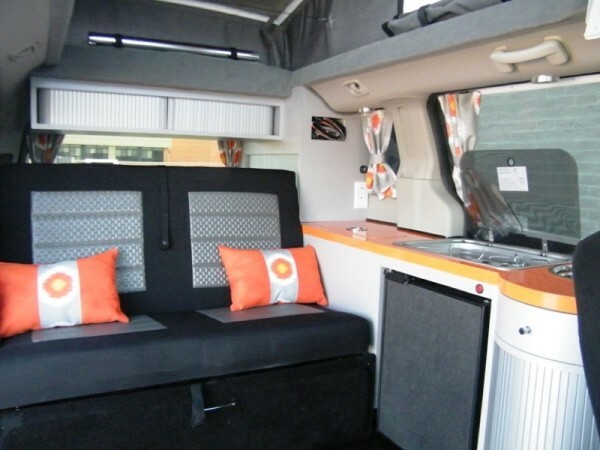 When you go inside, though, you’ll find a kitchenette, storage, and a dining table that converts into a bed. 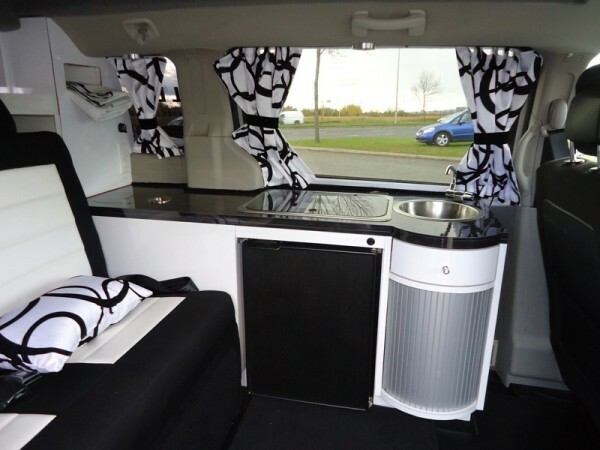 The van also features a pop-up roof so you can comfortably stand up while inside. Pretty cool, right? Wow, almost unbelievable. Love it. And if you want something from the fridge in the middle of the night? Didn ‘t see a loo either. 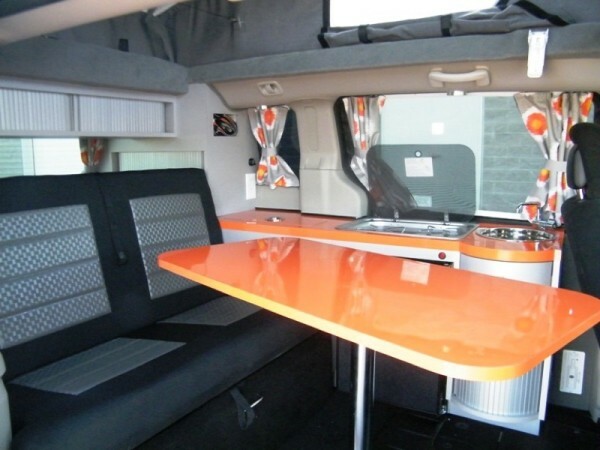 Reminds me of the Westfalia…love this! Very nice. Didn’t see a loo tho. How much to transform the vehicule completely with the kit Illusion Mars 5?